Prince Beast Racquets with shoes? Hi everyone. 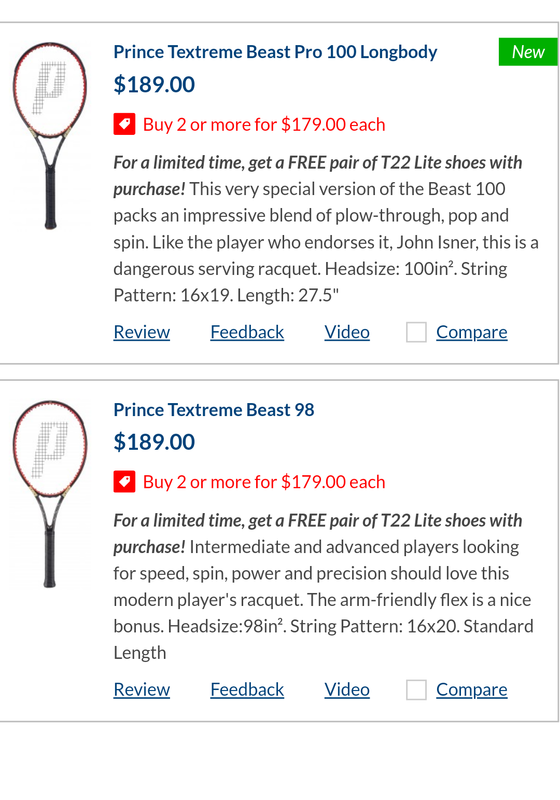 A few weeks ago, TW page stated that "get a free pair of T22 lite shoes with purchase" the Prince Beast racquets. When will this offer available? Thanks you. We have not heard from Prince when they will be doing the promotion again. However, if you are interested please send an email to discussadmin@tennis-warehouse.com and we can help you out.